The employees in any school organization represent the most important resource for providing a quality educational program to the students it serves. 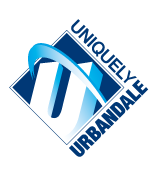 It is the goal of the Urbandale Human Resources Department to recruit, select, and support the very best available candidates; promote employee/employer relations; and develop a culture in which optimum staff performance and satisfaction are encouraged and created. Click here to continue/modify your application. The Urbandale Human Resources Department looks forward to serving you. If you experience difficulty with AppliTrack or if you have any questions related to Urbandale Human Resources, please contact me or Maggie Holton at (515) 457-5006.